Andy's Amazing Adventures magazine is based on the CBeebies show Andy's Wild Adventure. The show was a success for young children. Buy a single copy or subscription to Andys Amazing Adventures magazine. 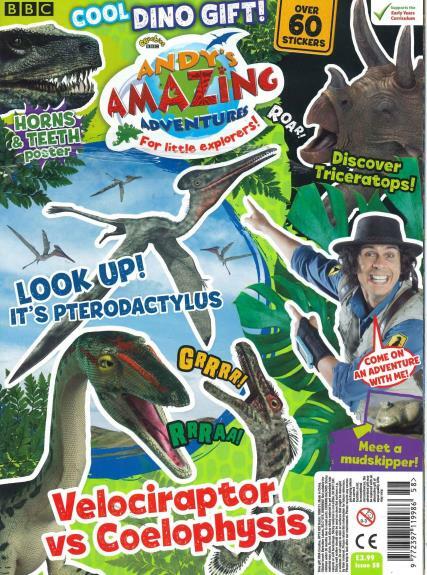 A quality educational magazine with nice little free toys and some great stories, info about dinosaurs and arts and crafts activities. Good value for money. My grandson, age 5, has received his first comic out of 6 and loves not only the comic but receiving it direct to his home, addressed to him.